An Audit Scotland report found the largest real terms percentage decrease in Scotland was in the Western Isles (-15.4%) with Shetland (-14.1%) and Argyll and Bute (-13.2%) coming second and third. 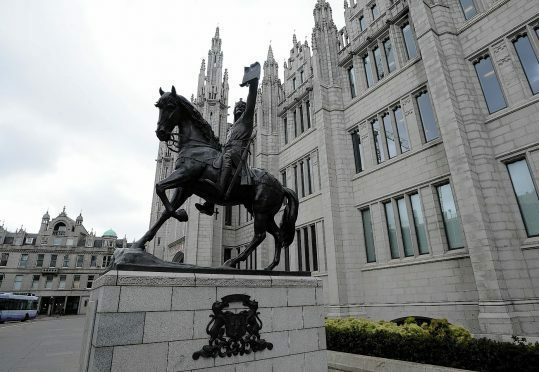 Aberdeen City and Highland also recorded substantial cuts, according to the data which found that all 32 Scottish local authorities suffered a real terms cash decrease. Aberdeen’s core revenue funding fell by 9.9%, the ninth highest in Scotland, just behind Edinburgh (-11.4%) and Glasgow (-10.5%). Highland experienced the 10th highest fall with a 9.8% cut. Core revenue funding, the cash which councils have control over to fund services, fell across all 32 Scottish local authorities. Orkney’s cash fell by 6.7%, Moray’s fell by 5.3% and Aberdeenshire’s fell by 5%. And the report predicted that there would be more pain to come. Across Scotland, core revenue funding would go from £9.521 billion in 2018/19 to £9.571bn the following year – a cash increase of 0.5% but a real terms decrease of minus 1.2% when inflation is taken into account. Audit Scotland also identified services with cost increases above inflation since 2016/17. They included burial plots (20%), care meals at home (5%), junior swimming sessions (11%), bulky waste uplift (8%), homecare (8%) and nursing at home (8%). The report said the cash allocation reduction for the Western Isles and Argyll and Bute was down to a declining population. But the reduction had come despite the areas being remote and having a growing number of elderly people. Highlands and Islands Tory MSP Donald Cameron said cuts to island councils created the danger of a “spiral of decline” that would be difficult to reverse. “By reducing spending in areas which are already suffering from depopulation, they are putting local councils in an impossible position,” Mr Cameron. The report added that it cost £27 per property to collect council tax in the Western Isles and £17 per property in the Orkney Islands compared to the Scottish average of £7. If the Western Isles and Orkney reduced their costs to those of the Shetland Islands, they would save £209,000 and £179,000 respectively.